Welcome to your mountain oasis! Snowfire 207A treats you to all the comforts of home, and then some! Just 3 blocks from the ski base, with a convenient shuttle stop right outside the building, Snowfire 207A is the perfect place for a relaxing intimate getaway, or a memorable family adventure. The living area is perfect for relaxing, featuring a cozy trouble-free gas fireplace, flat screen TV, DVD/Blu-ray player, and reclining sofa seating for movie nights! Wi-Fi is also included for your web surfing pleasure. A fully equipped kitchen gives you plenty of options for feeding your crew. There are 2 countertop eating spots with bar stools, and the large dining room table has plenty of room for 6, and can expand to seat at least 8. The master bedroom features a king size bed, a desk, and a full private bathroom. The second bedroom features a queen bed, and is just across the hall from the second full bathroom. The living room surprise is a hidden queen size pull down murphy bed for extra sleeping space! 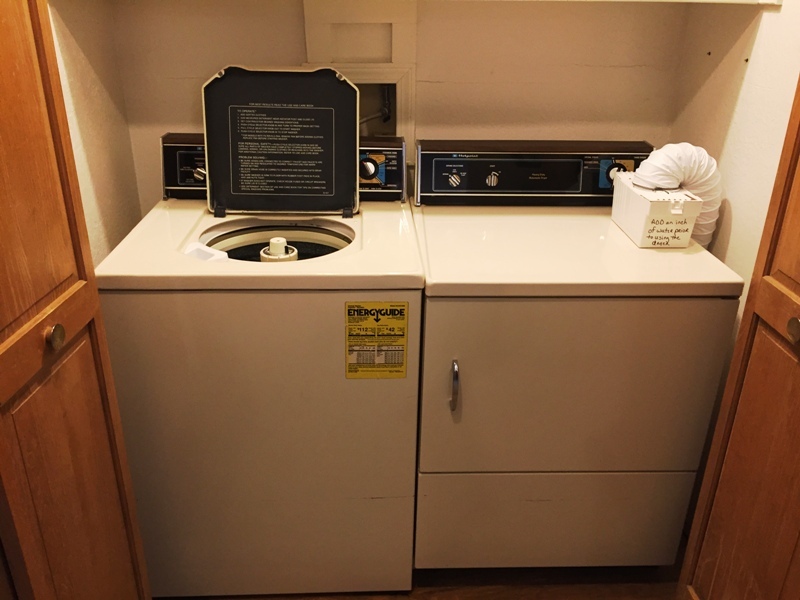 There is also a full size washer and dryer for laundry needs. The outdoor deck, with seating for 6, and views framed by beautiful aspens and pines, is the perfect place to start your day with a morning coffee, take in the fresh mountain air, entertain friends, or end your day with a glass of great local wine! As a bonus, Snowfire 207A includes access to a secured storage locker, and a bike rack, just inside the heated building entry vestibule, a handy place for storing your skis, boots, bikes, or other equipment not suitable for taking inside the unit! A unique feature of the Snowfire building is an elevator, which can make access easier for someone who may have mobility issues. Your Angel Fire adventure is waiting for you in Snowfire 207A, and it will surely be special!